(June 9, 2014) --- Foxfire Printing today announced that InteliChoice™, the total health & wellness merchandising system launched late last year, is now operating in more than 1,000 stores nationwide. Foxfire will offer an in-depth look at a range of tools for accessing the InteliChoice™ database when it joins with the Food Marketing Institute (FMI) as an exhibitor in FMI’s “Wellness Zone” at the FMI Connect show here, June 10-13. InteliChoice™ is an integrated database comprising science-based nutrition information, government guidelines and store-specific data. 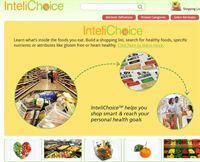 InteliChoice™ analyzes a wide range of data, synthesizes it under the watchful eyes of a team of nutrition experts and converts the data into shopper marketing tools that help retailers guide shoppers while simultaneously developing the health and wellness expertise of their store teams. 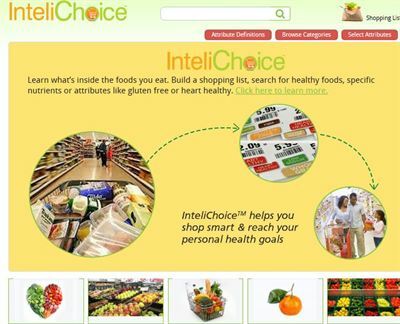 Grocers use the InteliChoice™ database to produce a wide range of marketing tools including shelf tags, shelf strips, signage and end-caps, social media and websites, shopping lists and custom applications. Output includes colorful, easy-to-interpret attribute icons that highlight the ingredient, nutritional and/or wellness attributes of virtually any fresh or packaged food or beverage, including private label items. At the FMI Connect show, Foxfire will highlight a web-based tool that provides both retailers and shoppers access to each retailers’ InteliChoice master list database. The searchable database helps customers build and save shopping lists by attribute, brand, UPC or product category, while giving retailers a tool to develop merchandising programs and analyze store inventory to educate store staff. CHICAGO, IL (June 9, 2014) --- Foxfire Printing today announced that InteliChoice™, the total health & wellness merchandising system launched late last year, is now operating in more than 1,000 stores nationwide. Foxfire will offer an in-depth look at a range of tools for accessing the InteliChoice™ database when it joins with the Food Marketing Institute (FMI) as an exhibitor in FMI’s “Wellness Zone” at the FMI Connect show here, June 10-13. Foxfire provides integrated business-to-business solutions in the areas of printing, shelf-edge marketing, data management and fulfillment. Based in Newark, DE, the company serves retailers, manufacturers and direct marketers with end-to-end marketing solutions that grow sales and boost profits. From design and production through implementation, Foxfire® is a single source vendor. Clients receive shopper-marketing solutions that are well researched, well designed and professionally produced. Foxfire® delivers turnkey solutions that simplify customer processes and improve customer profits.